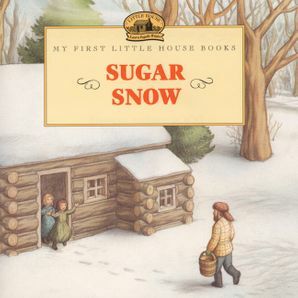 In Sugar Snow, Laura is delighted when a soft, thick snow falls in late spring in the Big Woods of Wisconsin. A late snow helps the trees make more sap for maple syrup, and maple syrup means sweet sugar cakes and sticky fingers for Laura! Doris Ettlinger's full-color illustrations are based on Garth Williams’ classic artwork.